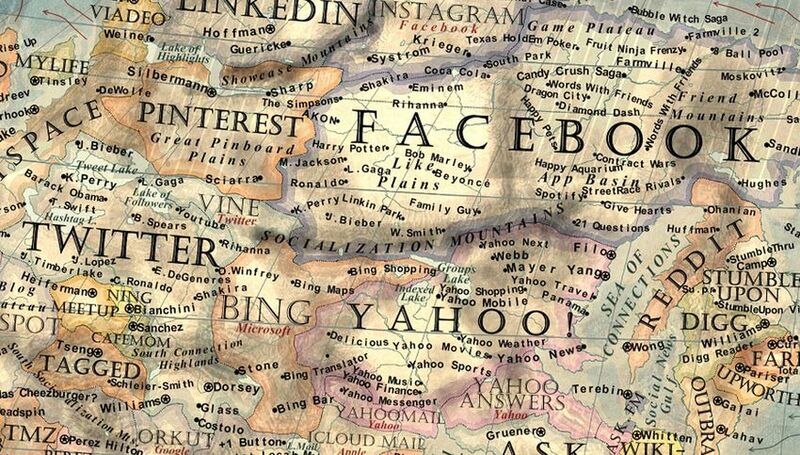 If there was a map of the Internet, which country would you call home? This fascinating map was created by Slovakian student and amateur graphic design artist Martin Vargic, who often goes by the pseudonym Jay Simons, and he left no detail untouched. The map is divided into categorized continents, which are then further detailed with countries. 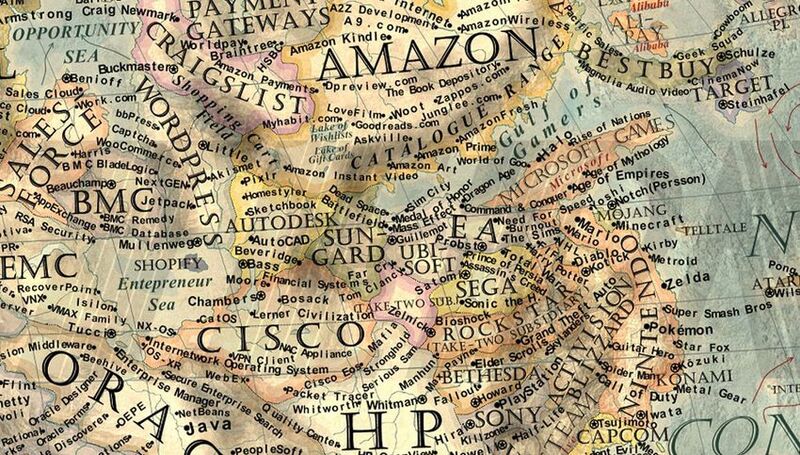 The eastern part of the map is comprised mostly of software companies, such as andHP, while the western hemisphere which Vargic refers to as the "New World" is made up of websites and social networks like Facebook and Google. 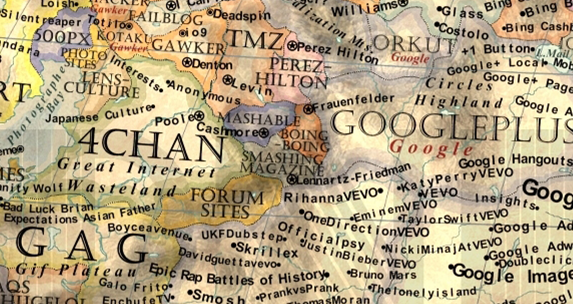 Cities are represented with sub-categories and trends; the iPhone 5 on the Apple sector, and OneDirectionVEVO in the YouTube country, while the countries' capitals are portrayed with the CEO or founder's last name. The country of Mashable, which is nestled between 4chan, Boing Boing , TMZ proudly displays the capital city of Cashmore for our founder and CEO Pete Cashmore. 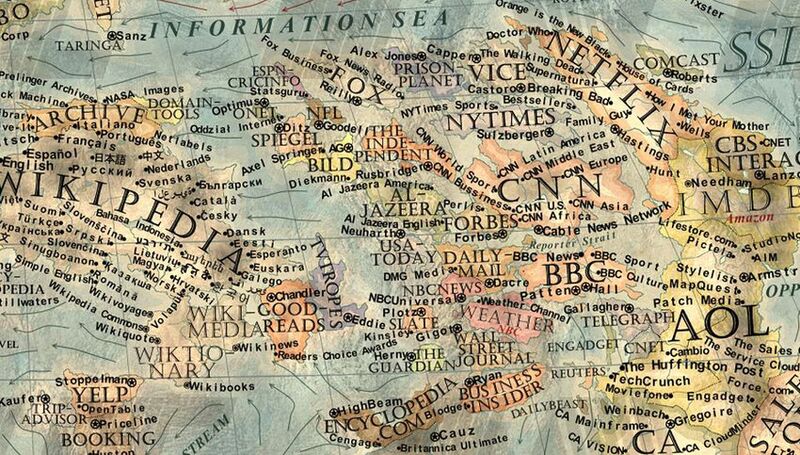 No map of the internet would be complete without all parts being equally represented. Surrounded by the Spam Ocean, Warez and Pirate Seas the southwestern continent features adult-oriented, warez, and popular torrent websites. Inspired by this XKCD map, Vargic's attention to detail is absolutely stunning, and a considerable amount of research went into the map before anything was drawn out. Vargic told Mashable, "The research took about a dozen hours, during this time I was concurrently working on the main layout. The research was mainly about finding the most popular and the largest websites, online services and software companies." The complex map was so large that it had to be drawn in 4 segments, which was later merged into one. 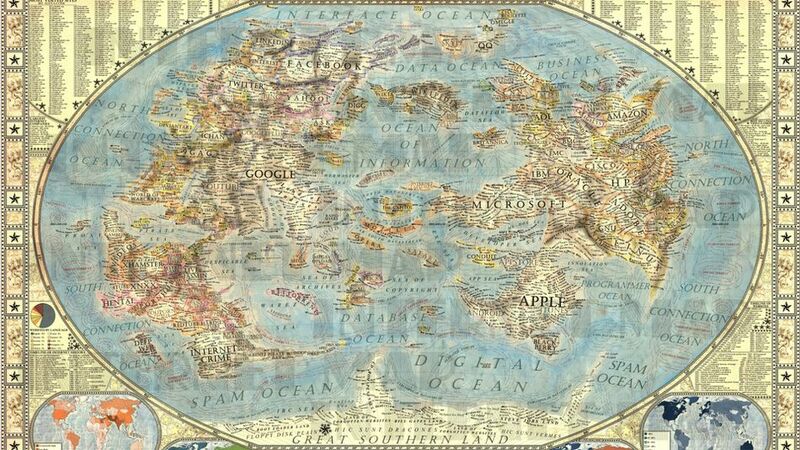 At full resolution, the map is over 10,000 x 6,500 pixels large. A high resolution version can be found on Vargic's DeviantArt page, where more of his maps can be found, along with his Facebook page. 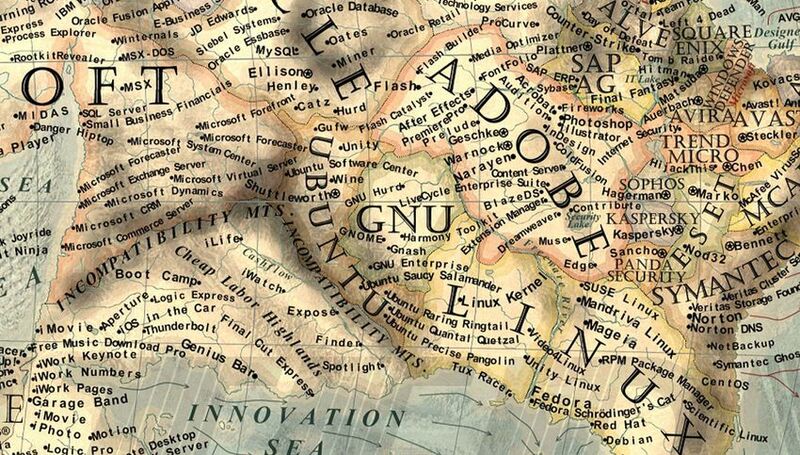 A 34 x 22 inch print of the map is also available onZazzle.